Positive real yields are hard find across the globe. A 1%-real yield in the US locked in for 10 years is internationally attractive. Over the last several months the R-squared correlation of 92% between the oil price and the 2 Year Treasury Yield has been extraordinary! 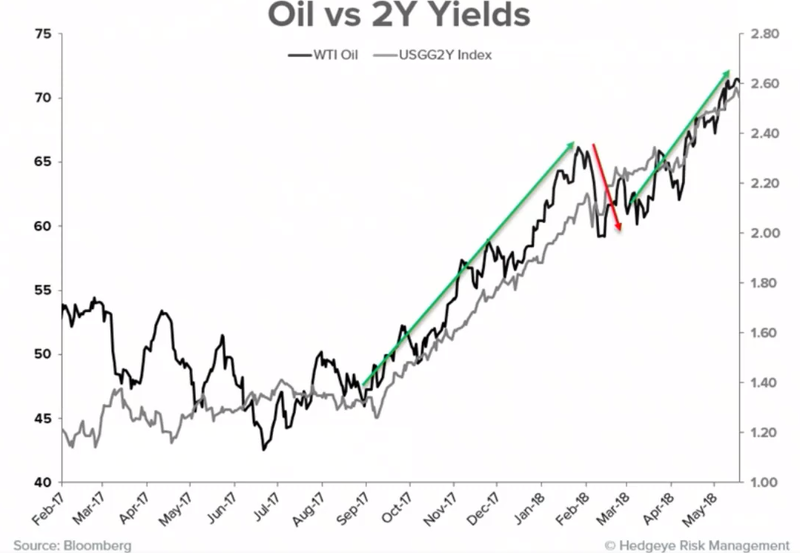 No question higher oil prices naturally lead to higher inflation and bond yields. Naturally, higher inflation expectations get built into market prices, but should real yields also go up? With Treasury Inflation Protected Securities (TIPS) it is possible to calculate the real yield, which together with the breakeven inflation rate, equals the Treasury yield. 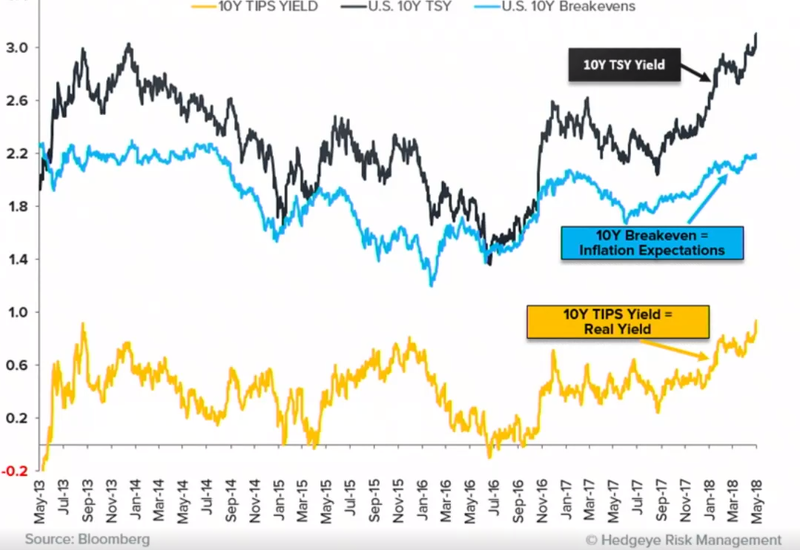 The chart below shows that as the Treasury 10-year yield has risen, both the real yield and the breakeven inflation rate have risen by about the same amount. So far, the market appears to expect the rise in inflation to be much more modest than the than the rise in 10-year yields. This means that real yields have also been rising to nearly 1% over 10 years, matching the highs in 2013. 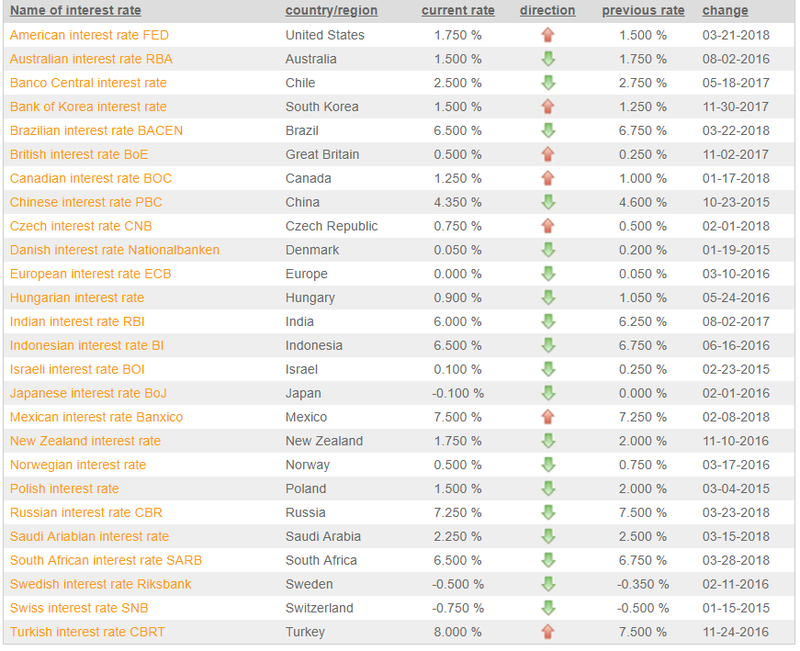 The table below shows that interest rates in Japan and most of Europe are either close to zero or negative. As most central banks are targeting positive inflation, positive real yields are very hard to find. Both inflation expectations and real yields tend to rise when both growth and inflation are accelerating (Quad 2 in the chart below), however the latest data suggests that the US economy in Q2 2018 is most likely already in Quad 3, inflation is still rising but growth has starting to decline from its Q1 2018 peak. Furthermore, inflation may only be a few months away from peaking too. In the second half of the year Quad 4 (both growth and inflation falling) becomes a significant possibility. 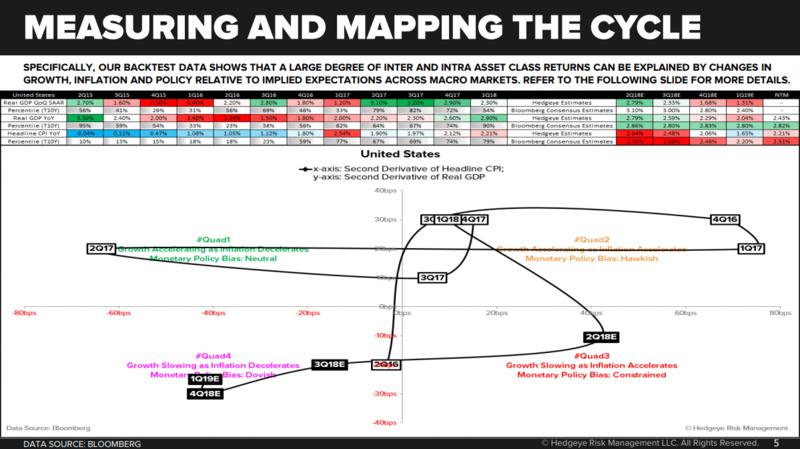 This suggests that real yields could be temporarily at a high point, yet with inflation still rising TIPS, rather than bonds, could be the most optimal allocation in this environment and it could now be an ideal time to increase this allocation. Earnings growth was very strong in Q1 2018 but is now in the rear-view mirror. 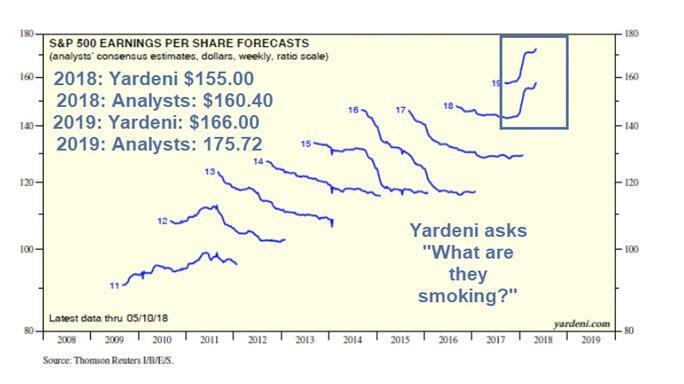 Yet, as shown in the chart below, expectations remain extremely high through the end of 2019! Equities could struggle to beat expectations at record levels of profit margins. Some reallocation from equities to TIPS could make sense, in particular away from foreign equities, where in general economies remain in deteriorating conditions. Our previous notes have shown this. Despite hopes for extended gains from the tax reform bill, the evidence suggests the peak in world and US growth is behind us and likely to slow further in the near term according to ECRI. In addition, there are certainly a range of issues evolving in the credit markets that the risks are asymmetric and need careful watching. Mike Maloney points out just a few of them. TIPS now offer nearly 1% real for the next 10 years. On top of that investors will receive inflation, whatever that is, for their total return. These are government guaranteed credits, which are a safe harbor from the increasing risks in the credit market. TIPS are also the optimal exposure for falling real yields at a time when real yields have risen to multi-year highs, even as US and global growth has peaked. 1% real yields are very hard to find internationally amongst developed markets. Cyclical progression and market developments have shifted in favor of increasing TIPS allocations.